Enter your full address so that we can ship to you. This agreement releases Lansing City Futsal from all liability relating to injuries that may occur during participation in Lansing City Futsal activities. By signing this form, I agree to hold Lansing City Futsal entirely free from any liability, including financial responsibility for injuries incurred, regardless of whether injuries are caused by negligence. I also acknowledge the risks involved in Lansing City Futsal activities. These include but are not limited to Futsal related injuries. I swear that I am participating voluntarily, and that all risks have been made clear to me. Additionally, I do not have any conditions that will increase my likelihood of experiencing injuries while engaging in this activity. By signing this form I forfeit all right to bring a suit against Lansing City Futsal for any reason. 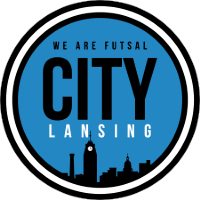 In return, I will receive the opportunity to participate in Lansing City Futsal’s activities. I will also make every effort to obey safety precautions as listed in writing and as explained to me verbally. I will ask for clarification when needed. I fully understand and agree to the above terms. Returning Players Don't Need to Re-order a uniform unless they need to. If you have paid or signed up for a payment plan, click yes. First Time Player? Yes, please give me any additional information I might need!Nope, I'm all good! Is this the first season you've played with Lansing City? Please enter the name of the player's doctor, in case of a medical emergency. Thanks for submitting, check your email inbox for a confirmation! Want to avoid the online fee? Send a check into 1131 N Washington Ave, Lansing, MI 48906. Please make all checks payable to Lansing City Futsal. Thank you! Name of person to be contacted in case of emergency.